Here are some words spoken by a New Zealand woman, Glennis Ryder. Glennis grew up in Foxton (near Palmerston North, in the lower half of the North Island). She is of European descent. At the time of the recording she was 37 years old and had never been overseas. Glennis gave permission for her voice to be used on this website and for these facts about her to be made public. Click on the speaker to hear her pronunciation of the words in that row. Each row of words has been recorded as an ".aif" file. Holmes, Janet & Allan Bell. (1988). 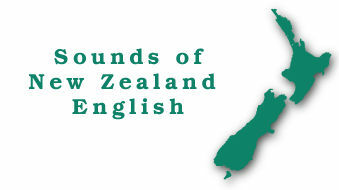 Learning by experience: Notes for New Zealand social dialectologists. Te Reo 31,19-50. The information on this page was provided on 11 September 2000.